BBC Four is a British television channel operated by the British Broadcasting Corporation (BBC) and available to digital television viewers on Freeview, IPTV, satellite, and cable which airs a wide variety of programmes including drama, documentaries, music, international film, original programmes, comedy and current affairs. Launched on 2 March 2002, BBC Four is available to UK digital television viewers. The channel broadcasts a mixture of art and science documentaries, vintage drama (including many rare black-and-white programmes), and non-English language productions such as films from the Artificial Eye catalogue and the French thriller Spiral. On weekdays at 19h00 the channel shows a 30-minute global news programme called World News Today, simulcast with and produced by BBC World. It screens a number of original documentaries such as The Century of the Self and The Trial of Henry Kissinger. The channel is also home to many political travel shows such as Holidays in the Axis of Evil which features investigative journalism. Drama has given the channel some of its most popular programmes, with The Alan Clark Diaries (2003) and Kenneth Williams: Fantabulosa! (2006) being among the highest rated, with over 800,000 viewers. Another notable production was a live re-make of the 1953 science-fiction serial The Quatermass Experiment, adapted from the original scripts into a single, two-hour version (though on the night it in fact underran considerably, lasting less than 1 hour 40 minutes), broadcast on the evening of Saturday 2 April 2005. 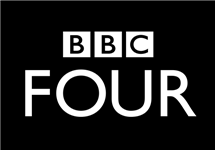 Discounting BBC Four's previous live relays of theatrical Shakespeare productions, this was the first live made-for-television drama to be broadcast by the BBC for twenty years. According to BARB the comedy panel game QI has the highest ratings of any show on BBC Four. At the Edinburgh International Television Festival, BBC Four won the Non-Terrestrial Channel of the Year award in 2004 and 2006. Summary: Sitcom set in an NHS hospital with an overload of grumpy old people which focuses on the sort of health care that gets swept under the carpet.